Ademola Adekunte LADELE attended University of Ife (now Obafemi Awolowo University), from 1976 to 1979, where he obtained B. Sc. Agriculture [with specialization in Agricultural Extension]. He proceeded to University of Ibadan, obtaining M.Sc. in Agricultural Extension in 1983 and Ph. D. Agricultural Extension in 1990. Ademola Ladele had a stint of lecturing at Osun State College of Education [then Oyo State College of Education], Ila-Orangun, before he was appointed an Assistant Lecturer at University of Ilorin in 1985, where he rose to the position of Reader before transferring his service to the University of Ibadan in July 2000. He was promoted to the rank of Professor in 2007. Professor Ladele has published widely on farmers’ cooperatives, technology transfer and participatory extension in both local and international journals and proceedings. He has over 77 publications to his credit. He is a member of several professional bodies including Association for International Agricultural Extension and Education [AIAEE], Extension Africa [EA], Agricultural Extension Society of Nigeria [AESON] and Rural Sociological Association of Nigeria [RuSAN] where he served as the Editor-in-Chief from 2006 to 2010. He is currently the President of NRSA since October, 2012. 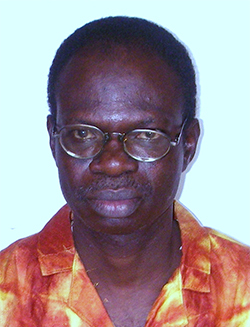 Professor Ladele is a dedicated teacher, an astute researcher and development expert who is passionate contributing towards the liberation of the smallholder farmers and believes in the capability of the rural folks to turn around the nation’s current woeful economy, given a conducive socio-political and economic clime to do so. He had served as external examiner to several universities in Nigeria and other countries, including Ghana, Sierra Leone and South Africa. Professor Ademola Ladele, a Director of Farm and Infrastructure Foundation [FIF] – an NGO, promoting policy best practices in agriculture and rural development toward poverty reduction and livelihoods improvement. He also the Chairman, Pricewell Agrext Consults Limited which is a private extension and farm management outfit promoting the transformation of smallholder farmers to agribusiness. Professor Ladele was a visiting scholar to University of Ghana, Legon and Olabisi Onabanjo University, College of Agricultural Sciences, Ayetoro, Ogun State. He served his Department as Ag. Head of Department, 2004 – 2006 and he spearheaded the founding of UI community radio – Diamond FM Radio, commissioned in 2008. He was Head, Department of Agricultural Extension and Rural Development, University of Ibadan from 2010 to 2014. He has been involved in research and development activities that made him to travel to Kenya, Tanzania, India, the Netherlands and the United States of America. He has collaborated variously with other social researchers and consulted for several government and international development agencies including USAID, IFDC, CFC and IITA. His current research interests are in Private Sector Participation and Commercialization of Extension Services and Transparency, Sharp Practices and Corruption in Agriculture.